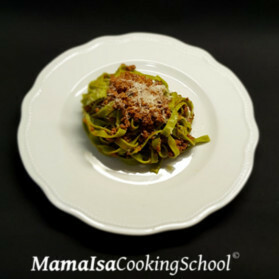 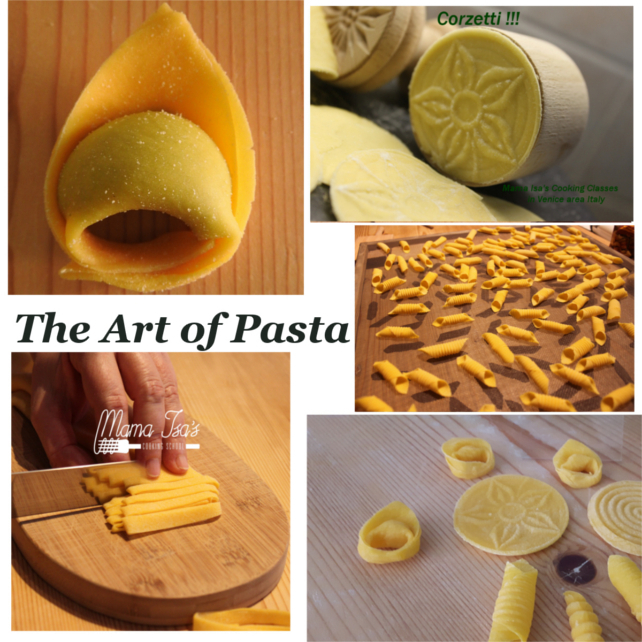 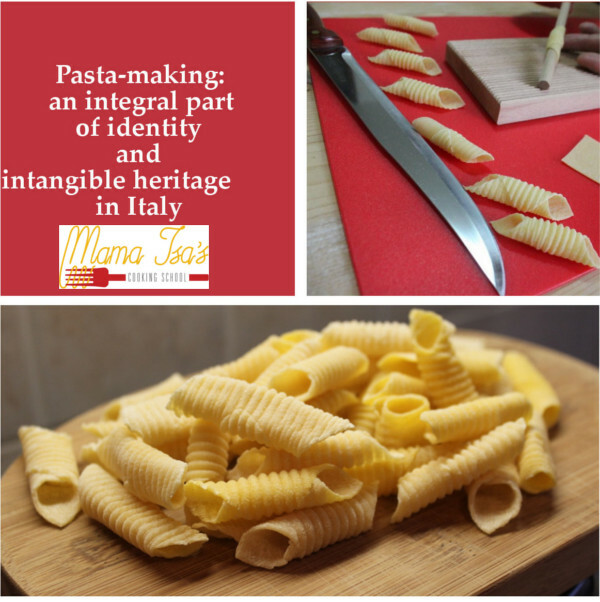 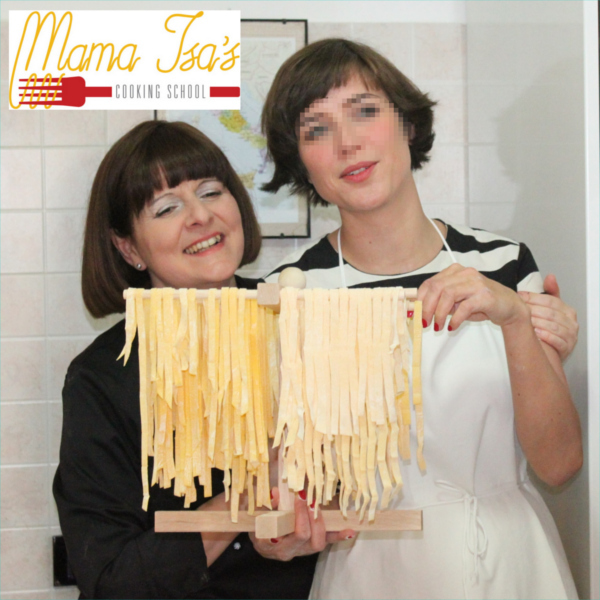 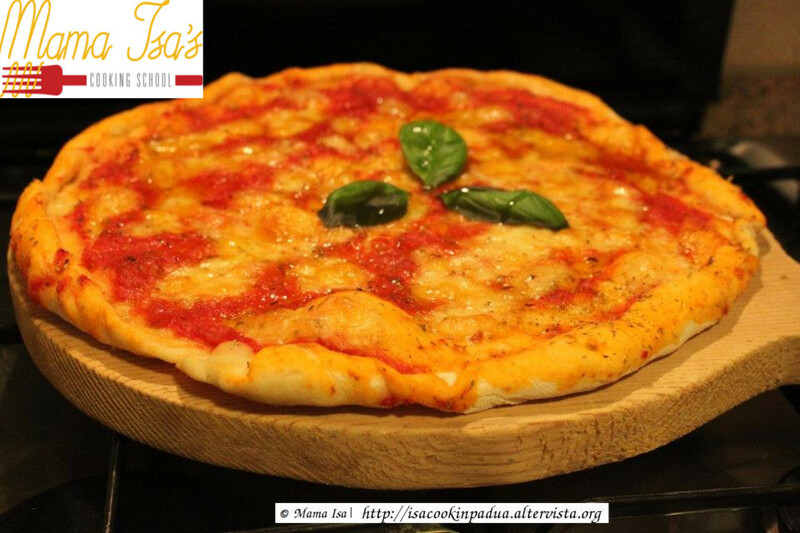 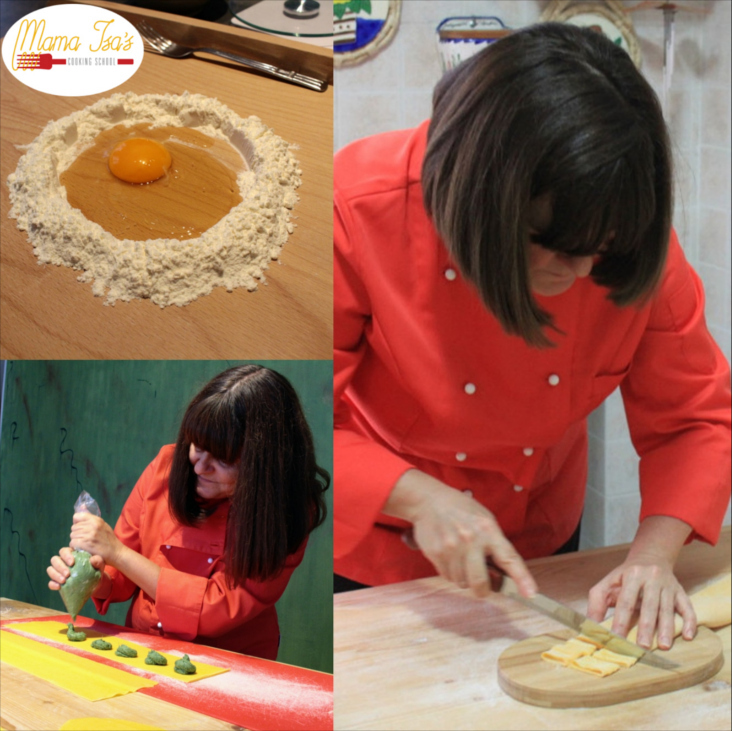 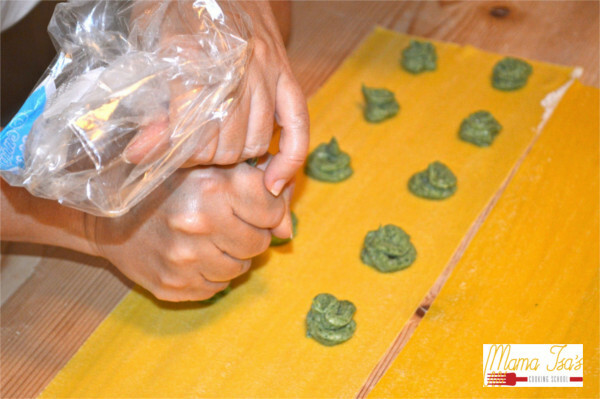 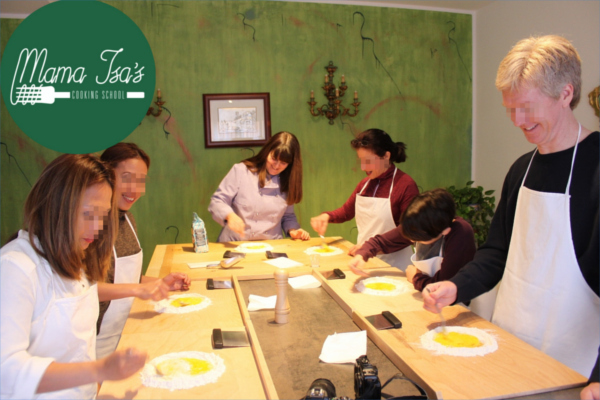 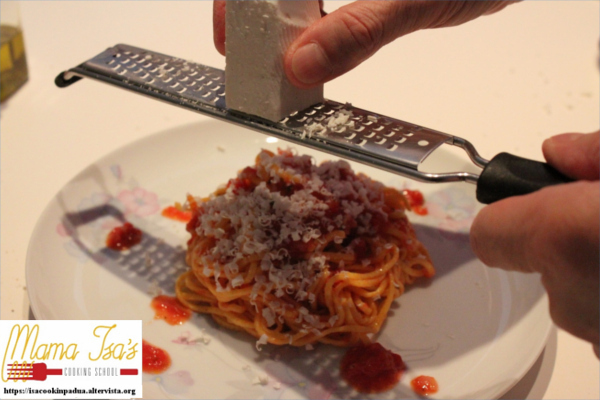 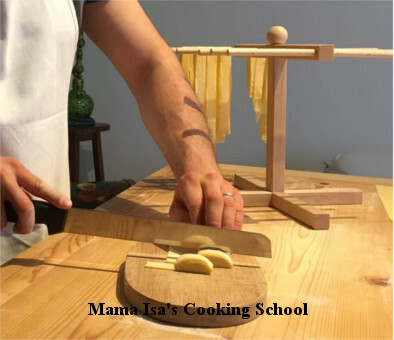 Mama Isa's Week Cookery Course: ideal for travelers wishing to learn the essentials of Italian cooking. 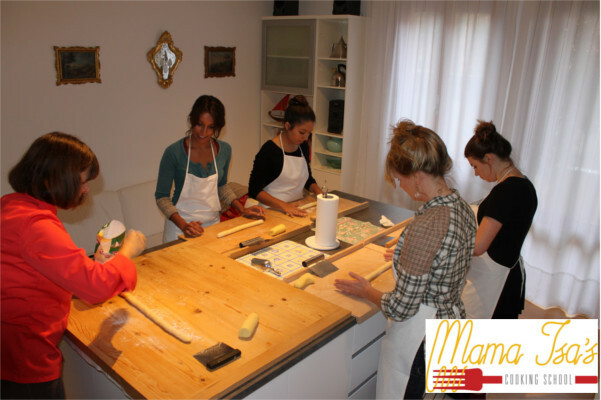 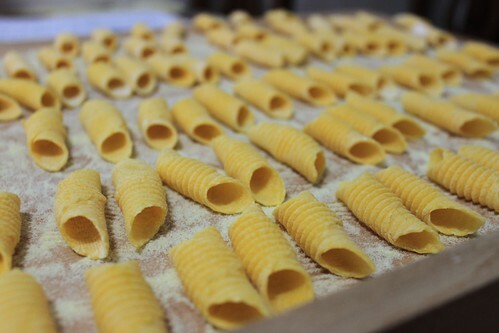 Exclusive Week Cooking School Holiday in Northern Italy in Venice area. 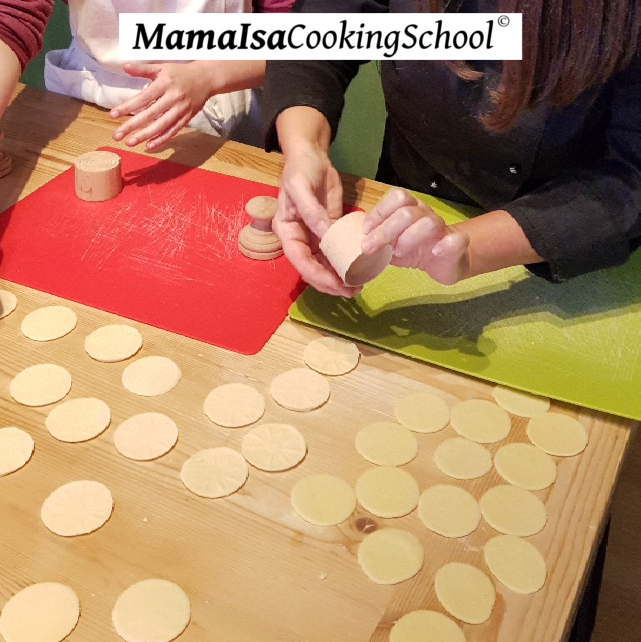 Completely hands-on and in English. 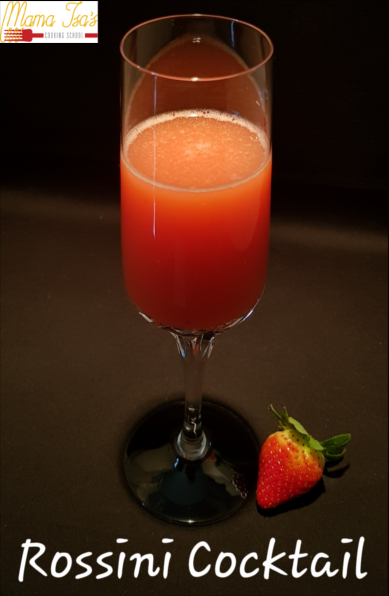 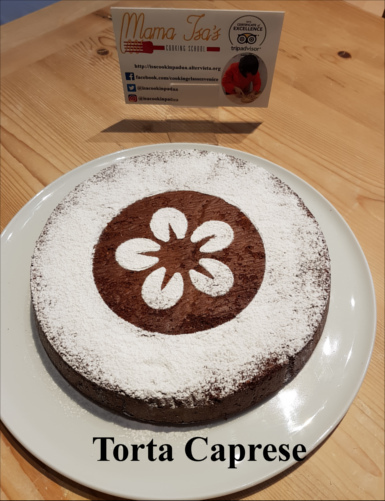 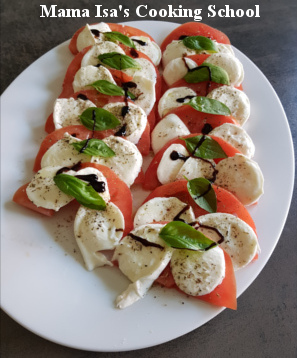 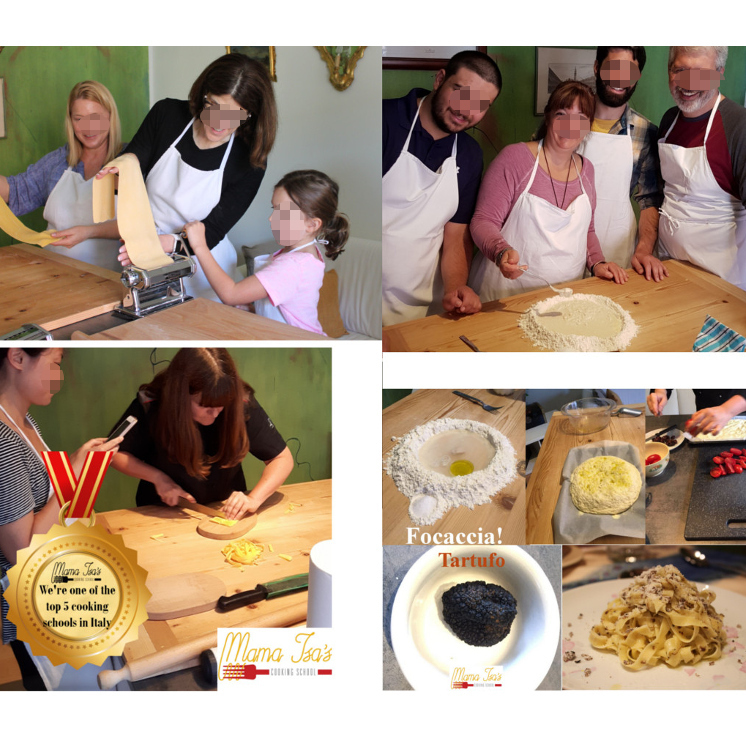 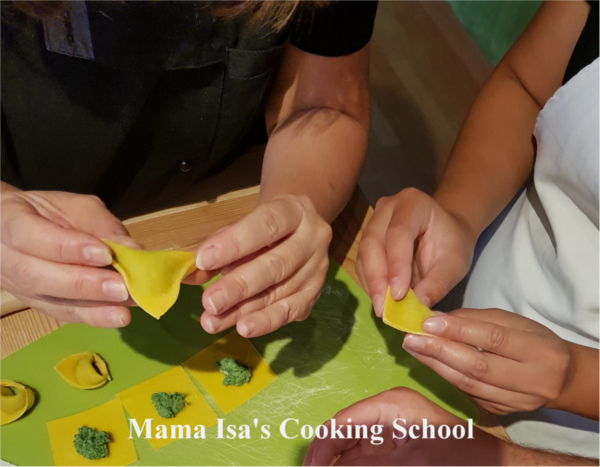 Week Cooking Course in Italy, near Venice - Our one week course (6 cooking classes and accomodation) is perfect for those wishing to immerse themselves in a cooking holiday in Italy. 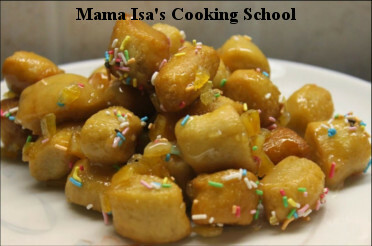 This is Mama Isa's best cooking course. 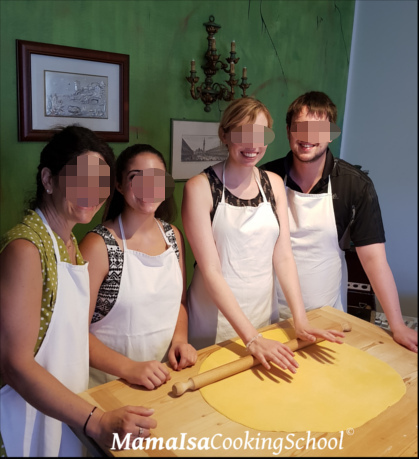 We accept not-cooking guest. 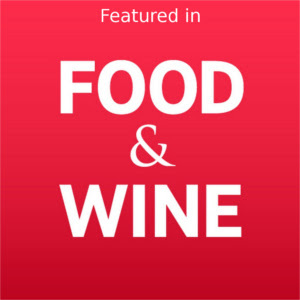 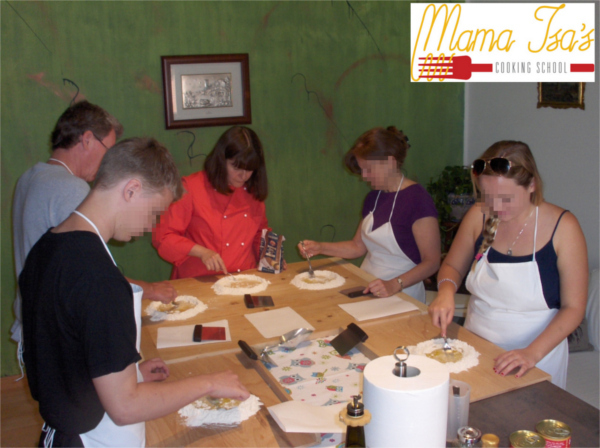 At the end of each cooking lesson, you will sit down and enjoy the meal with drinks or wine pairings. 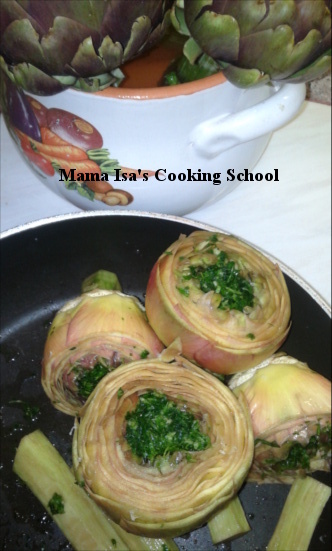 The Cooking Course is taught in English and length is about 4-5 hours per day. 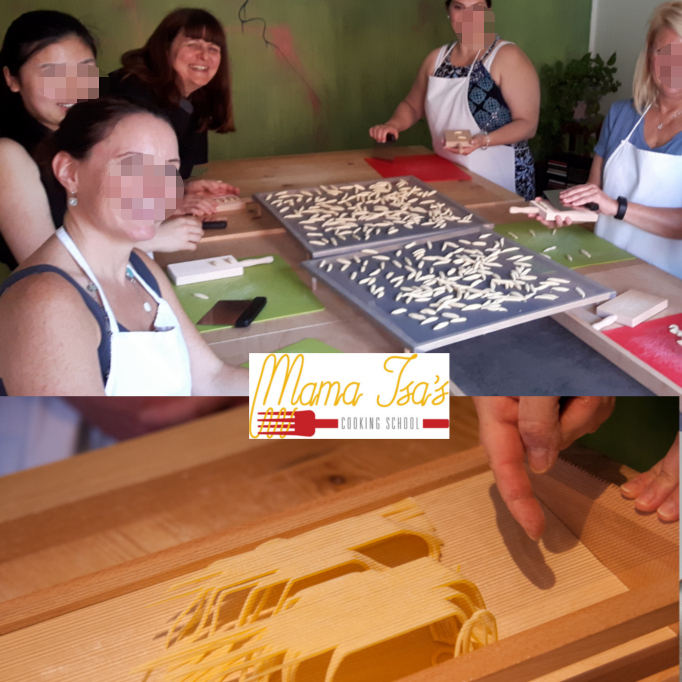 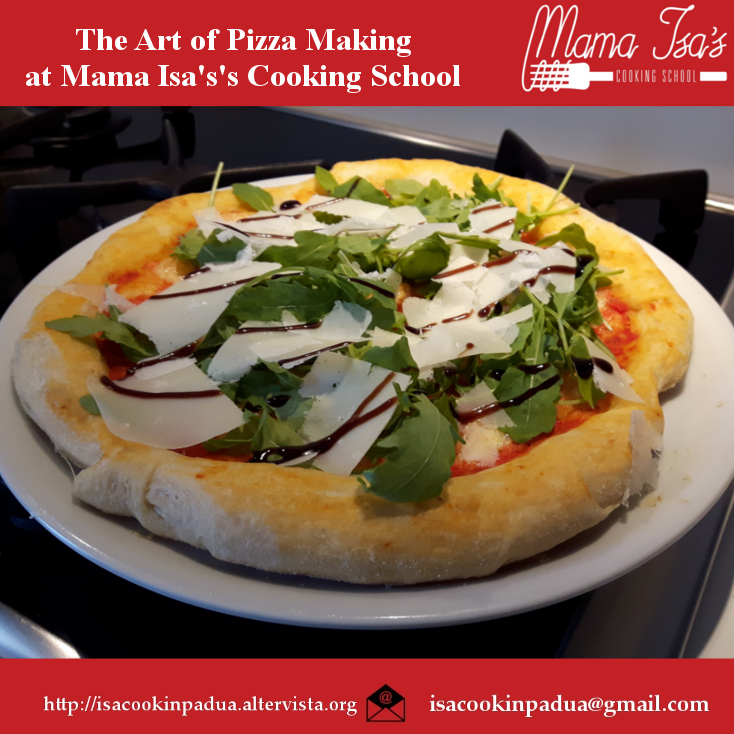 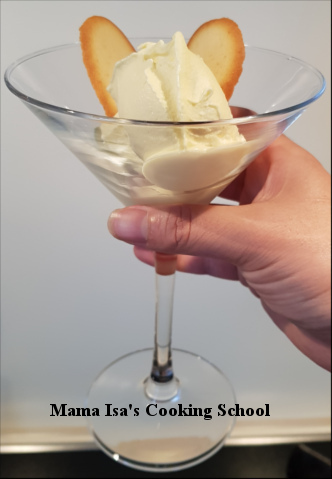 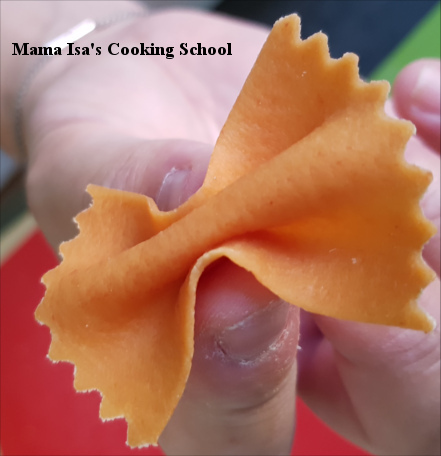 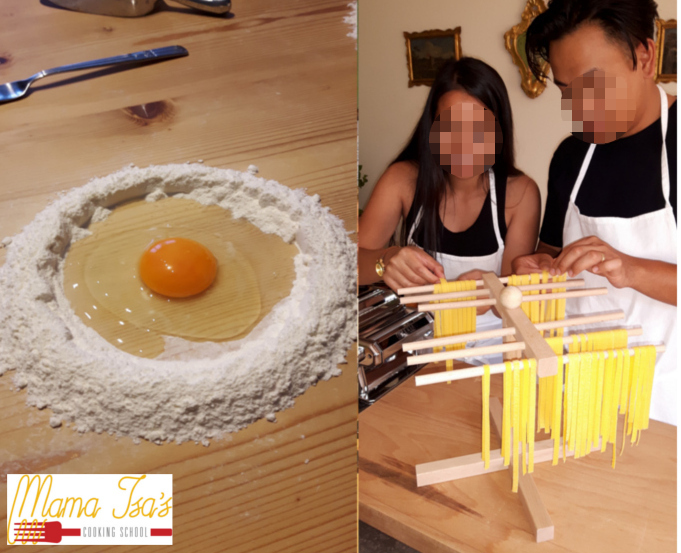 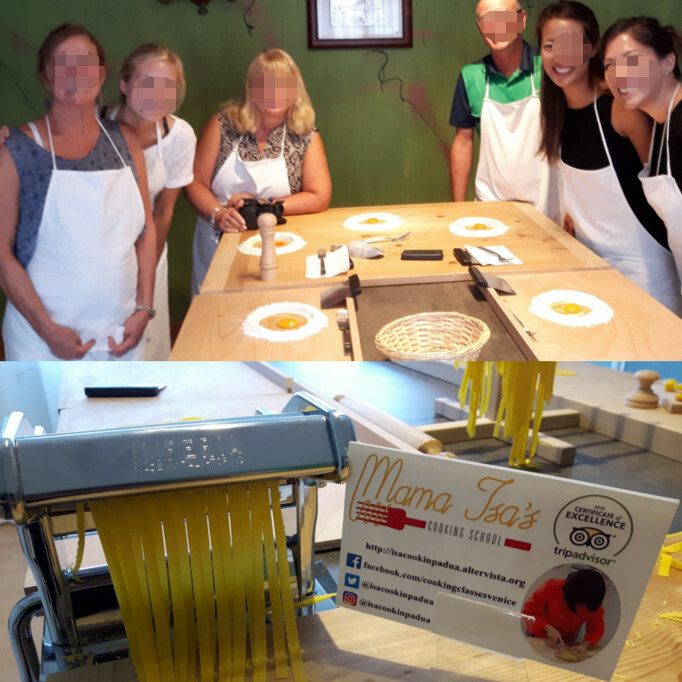 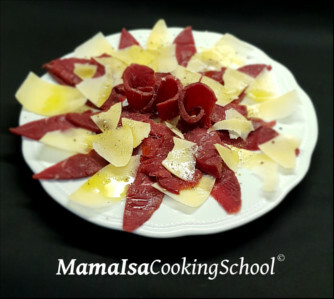 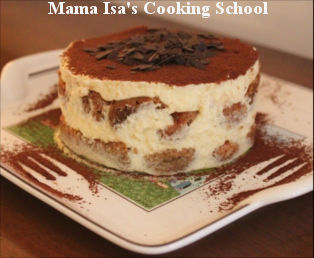 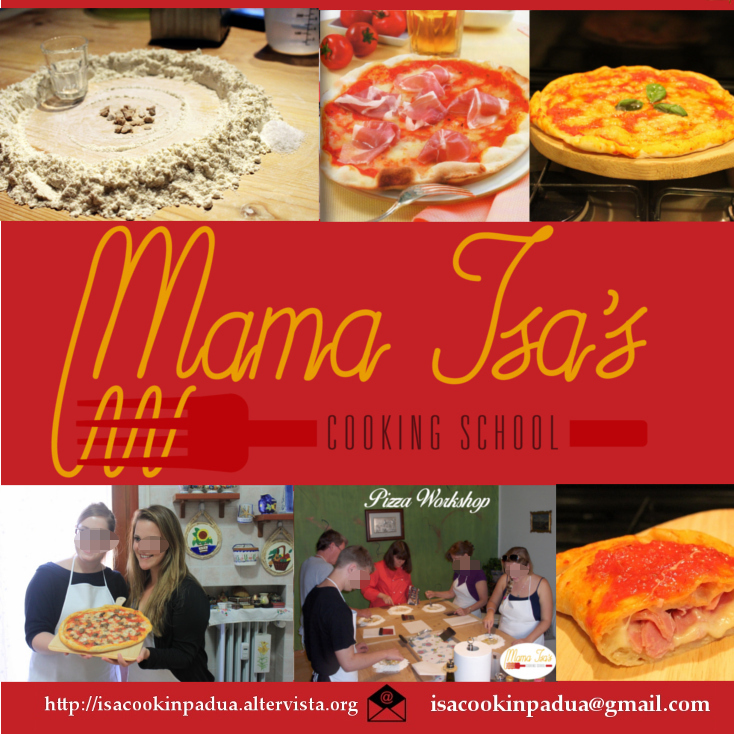 Mama Isa, your Cooking Class Instructor, can offer you a private cooking course of 6 days (please tell me your cooking interests: fresh pasta, pizza from scratch, lasagna, ravioli, fettuccini, bread baking, sauces, desserts, tiramisu, panna cotta....). 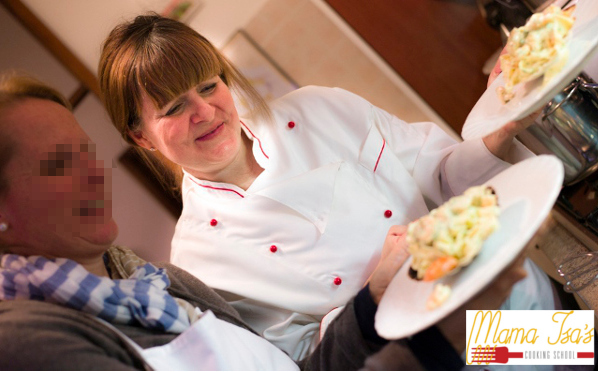 All our Culinary Week Courses are available on request for any day, year round, based upon availability. 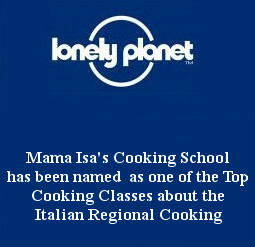 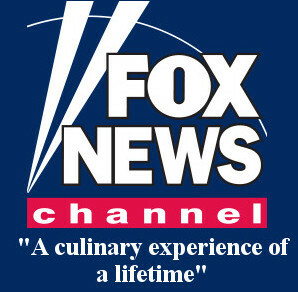 Don't hesitate to contact the Cooking School. 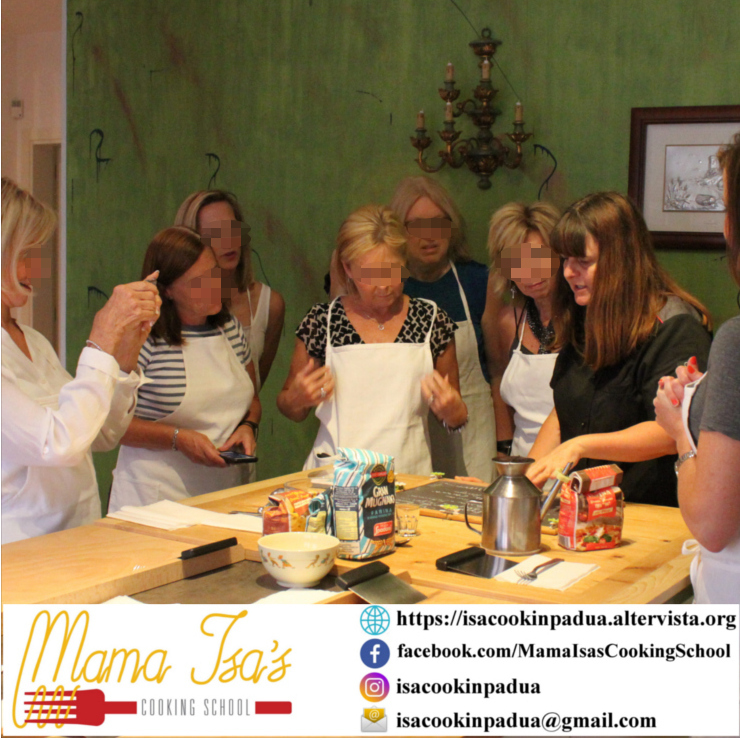 The classes are for cooks of all levels or for foodies and the course is ideal for learning some of the best Italian recipes. 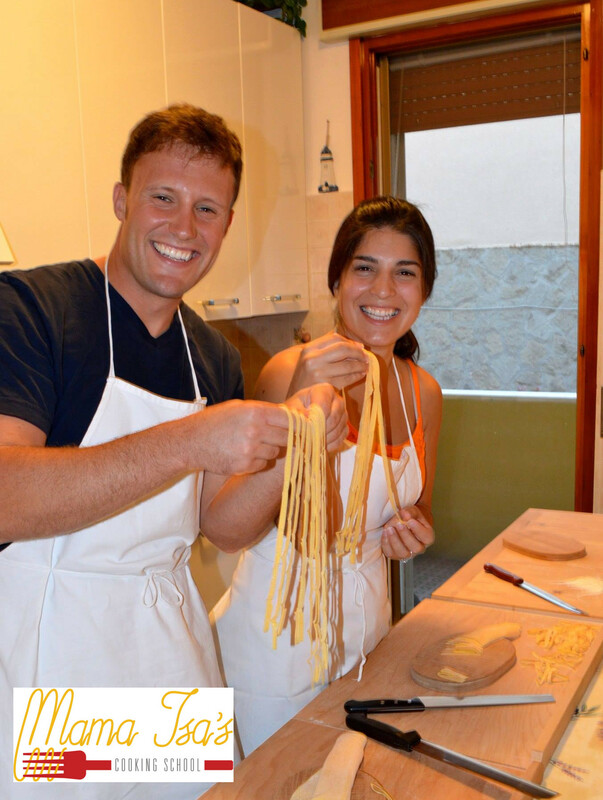 It is also possible to bring along a non-participating partner who can join you at lunchtime or dinnertime. 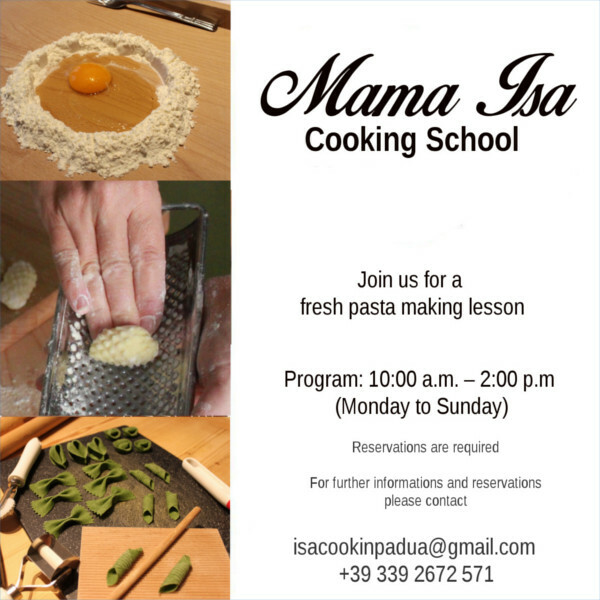 Program: 6 days - Monday to Saturday or Sunday to Friday (or Friday to Wednesday - or Saturday to Thursday or other days UPON REQUEST BY email). 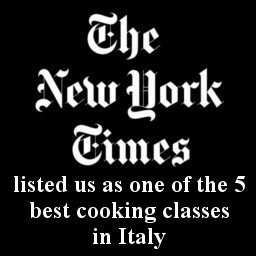 Please don't hesitate to contact us to ask if we have availability. 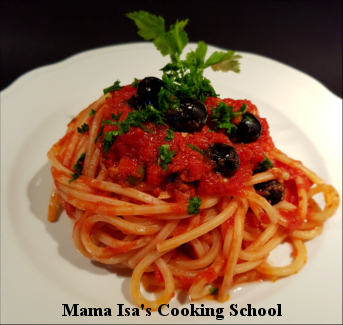 Learn to cook the Italian food that you'll love to eat. 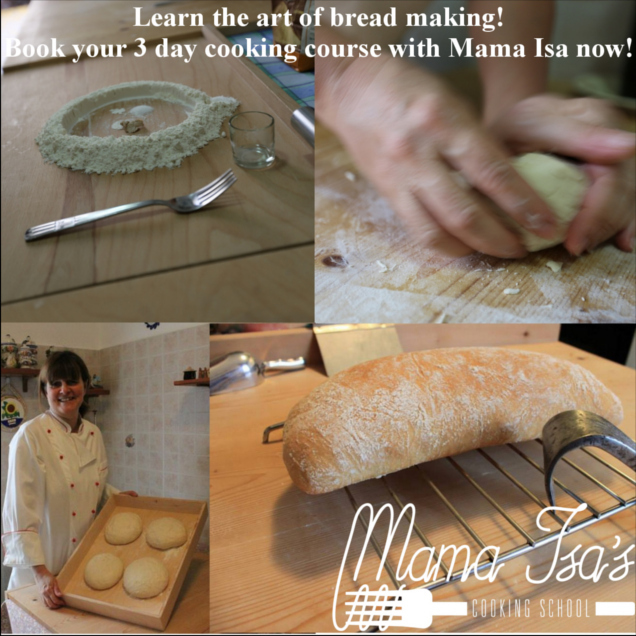 Only a few spaces on our 6 day cooking course. 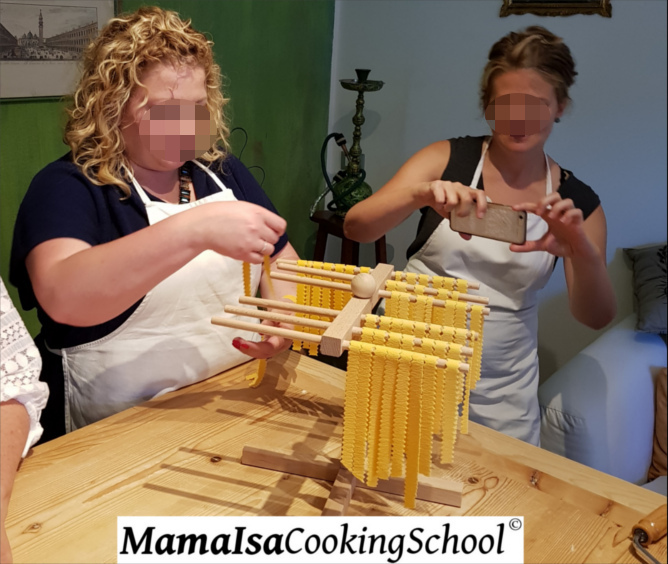 We are all used to communicate with our friends via WhatsApp. 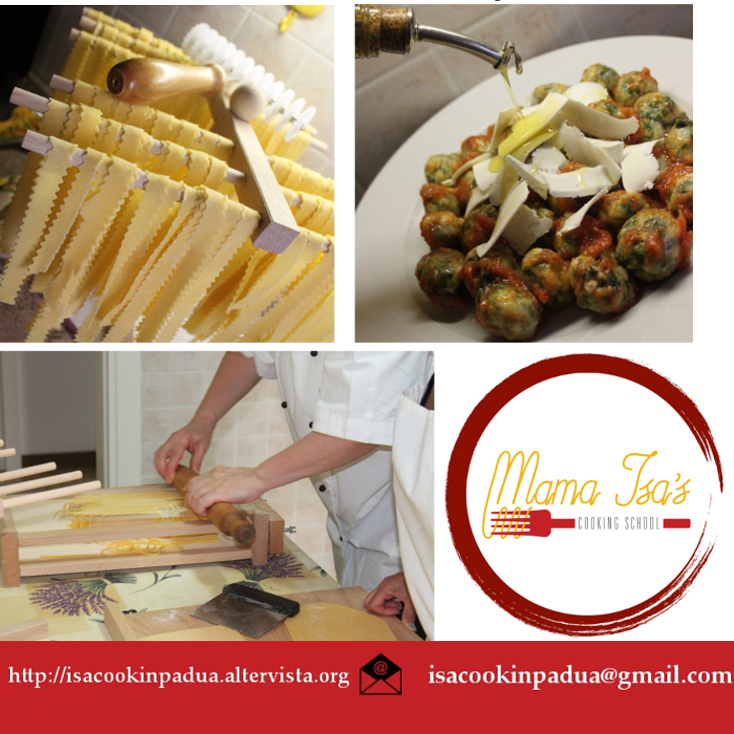 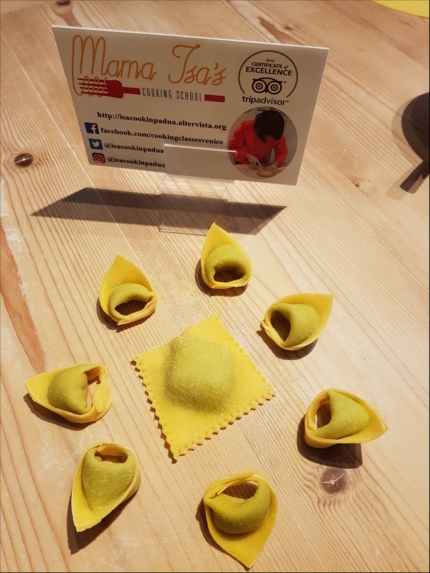 Chat with us via Whatsapp +39 339 26 72 571 - +39 is the Italy code - For Cooking Course Bookings and Enquiries Only. 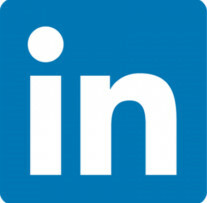 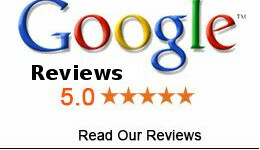 Accomodation: we are so glad to accomodate you so contact us as soon as possible and we will send you more details. 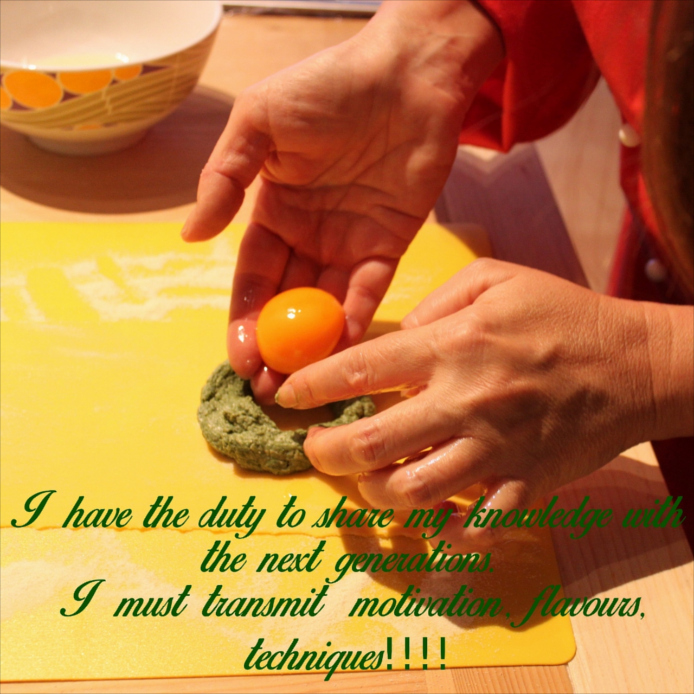 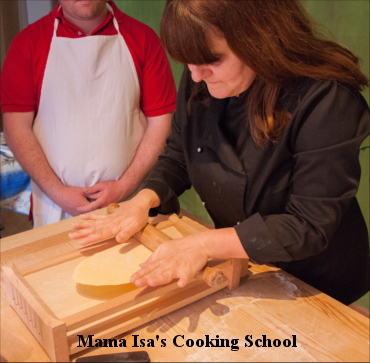 - Cookery classes are upon request and subject to availability. 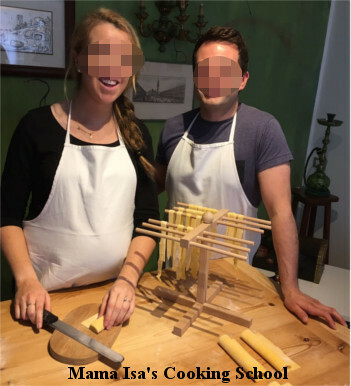 Price: on request. 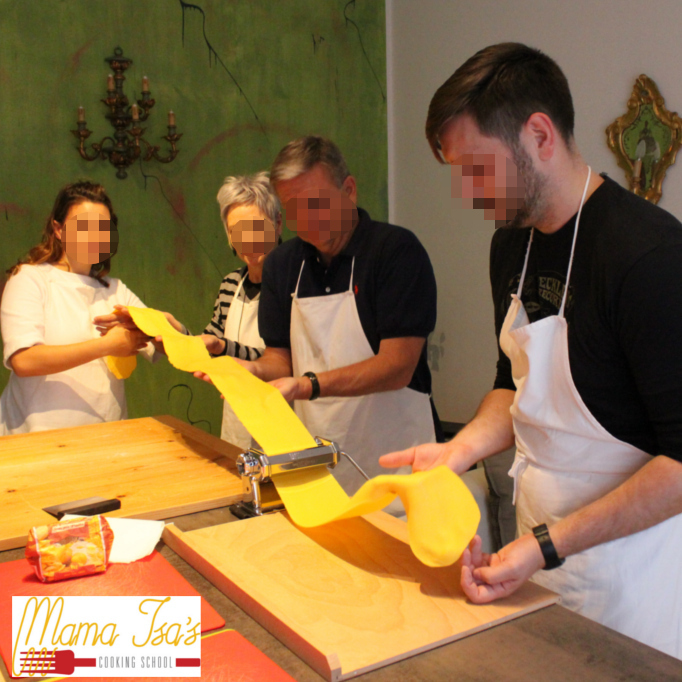 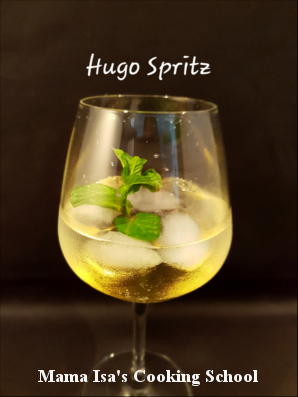 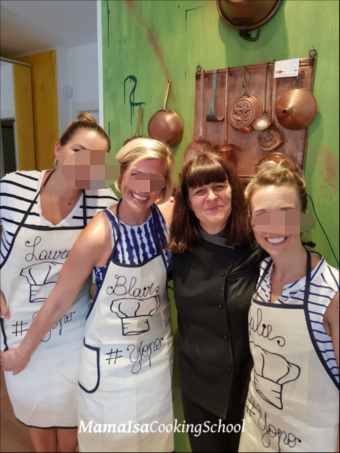 You can get personalized attention and individual instruction from the Chef and the atmosphere is always friendly, fun, relaxed and warm to make you feel comfortable and at home! 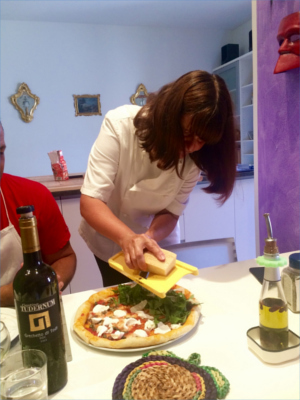 Our Cooking Classes are based in Venice Northern Italy, in the region Veneto. 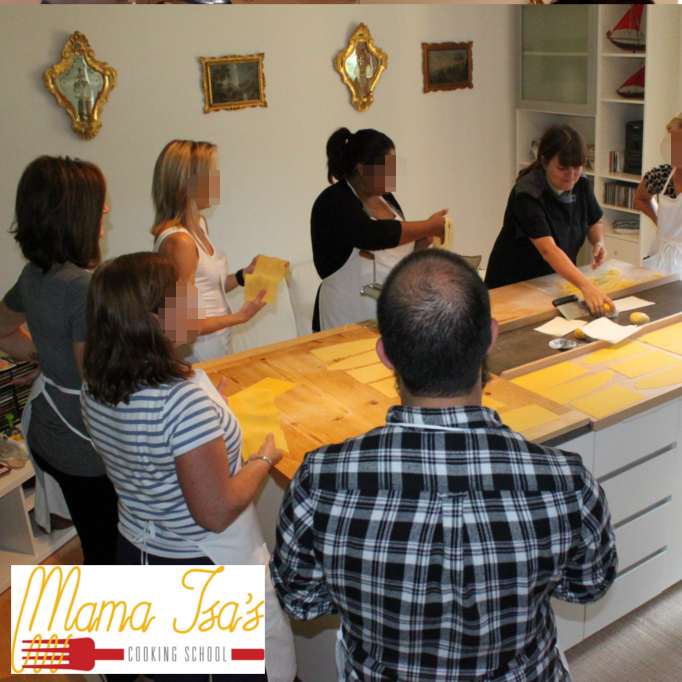 The menu will be adapted on your tastes and the cooking lessons are completely HANDS-ON. 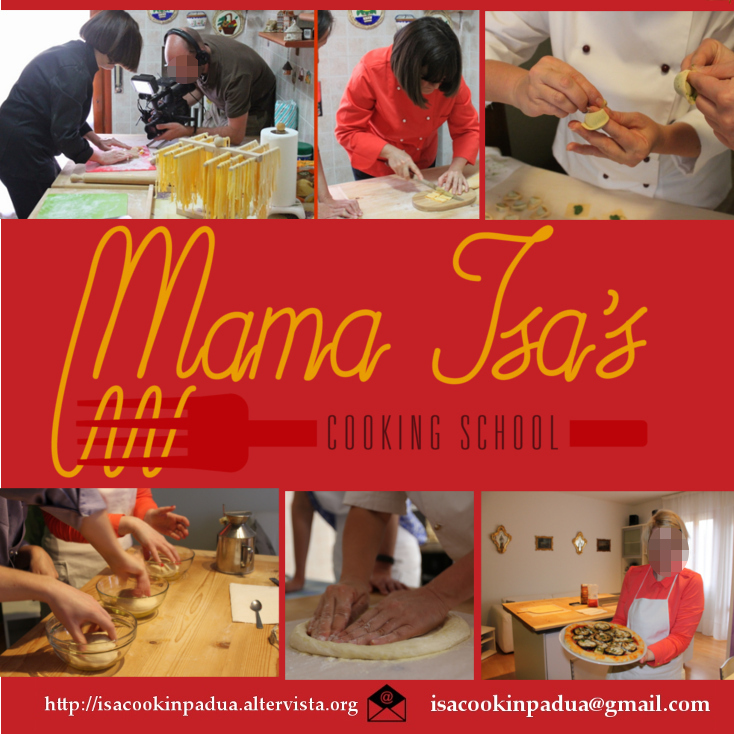 For any further questions (for example about other dishes or other cooking class options), don't hesitate to ask me! 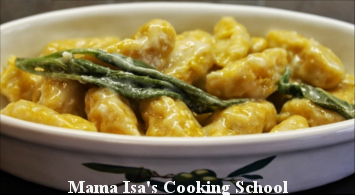 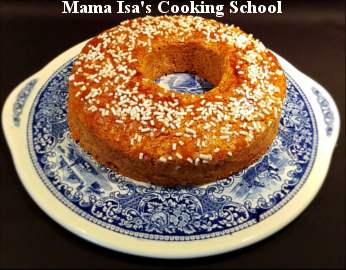 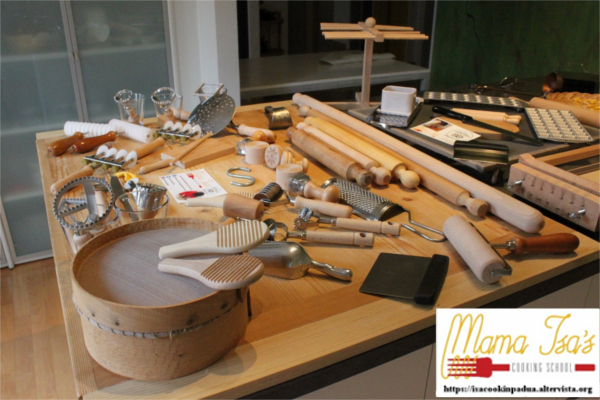 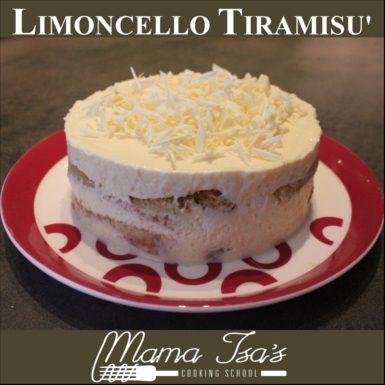 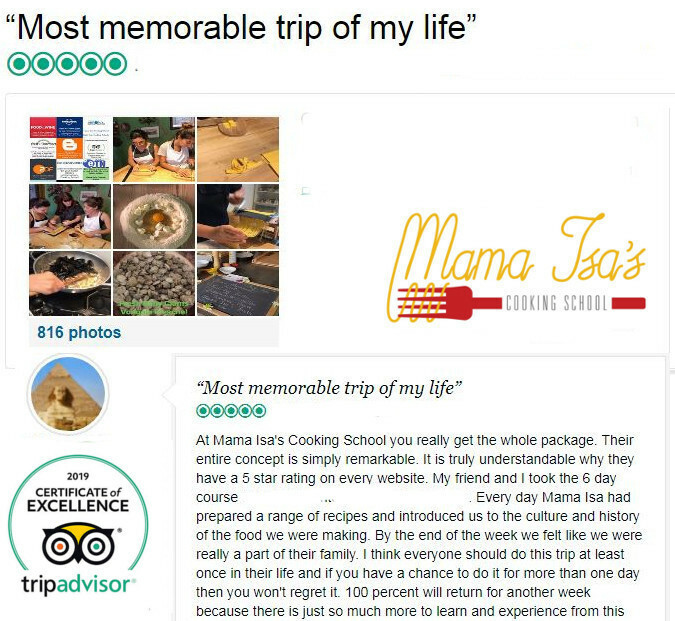 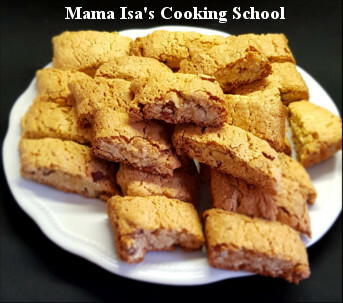 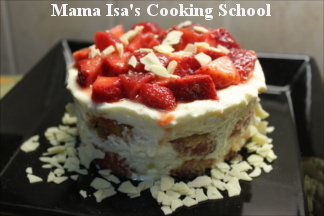 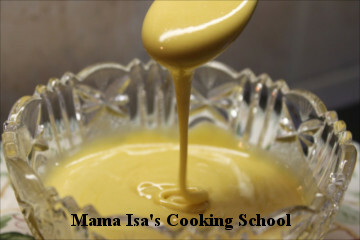 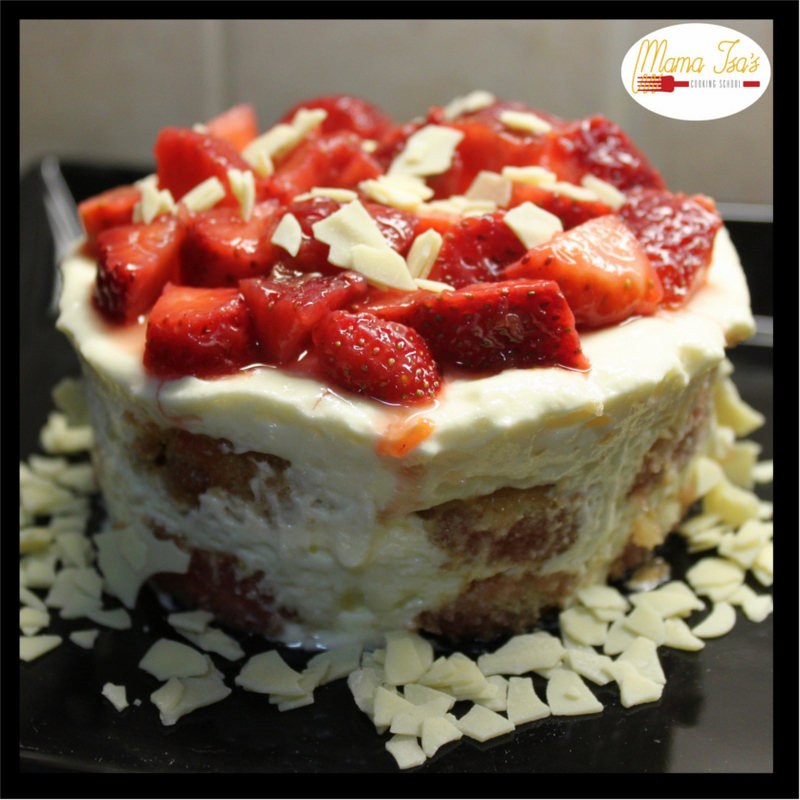 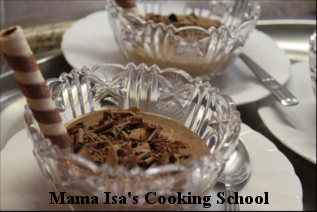 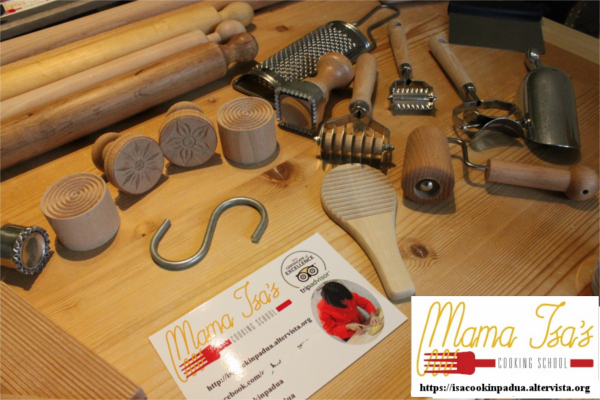 Mama Isa offers not only 6 day Cookery Courses but also 2 or 3 or 4 or 5 days. 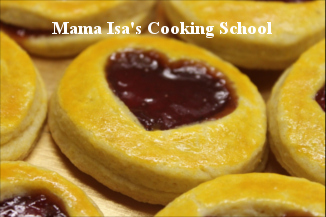 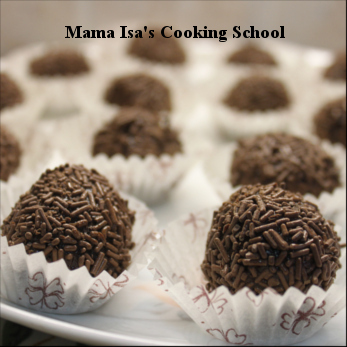 So please email us about a short cookery course with Mama Isa. 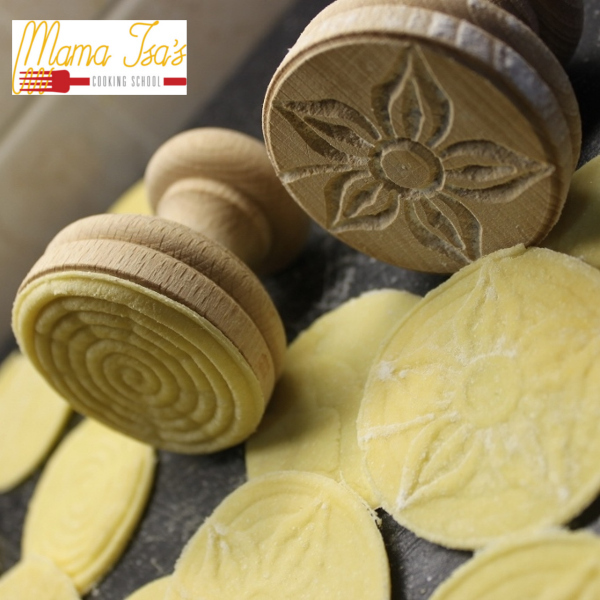 She is always pleased to design just the right COOKING PROGRAM to meet your specific cooking goals. 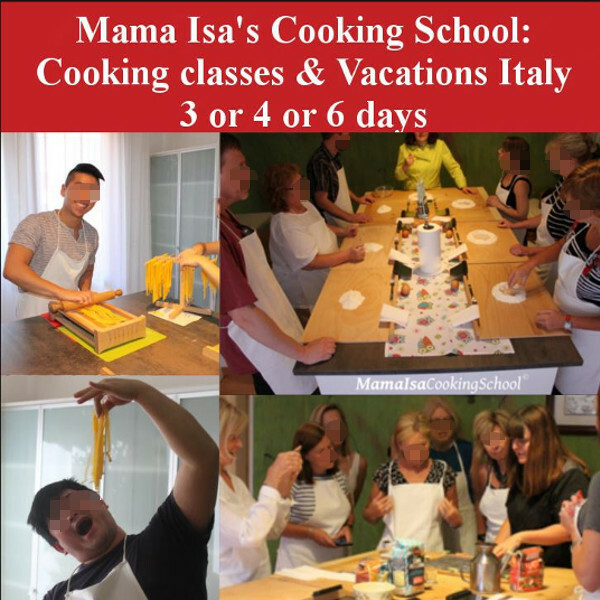 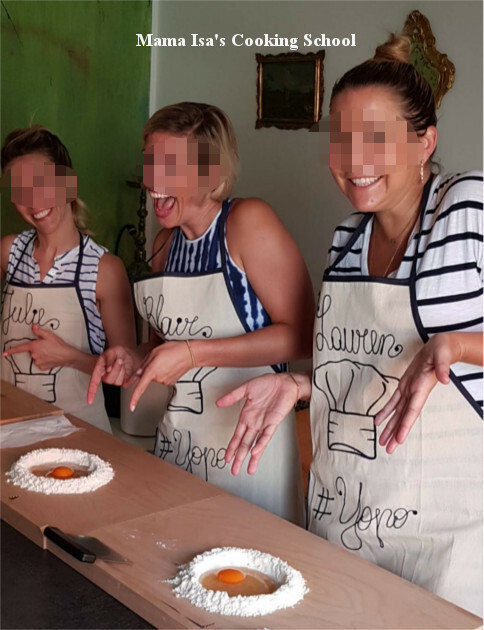 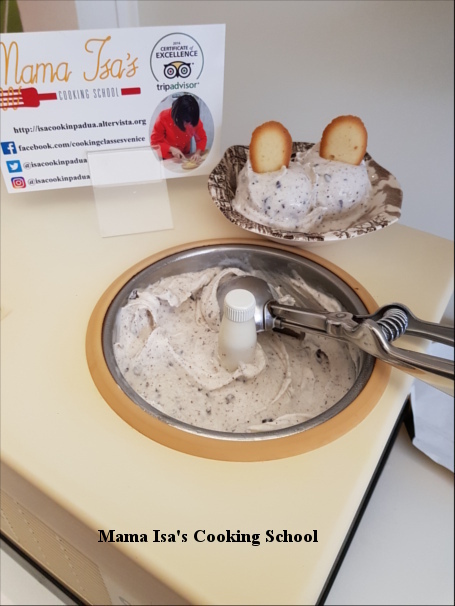 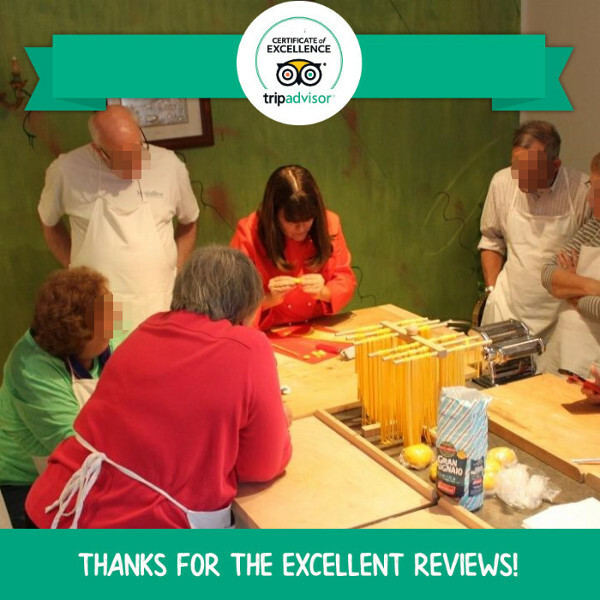 Two and three, or four or five days cooking lessons and cookery course long weekends at a well equipped homey cookery school in Venice area Italy. 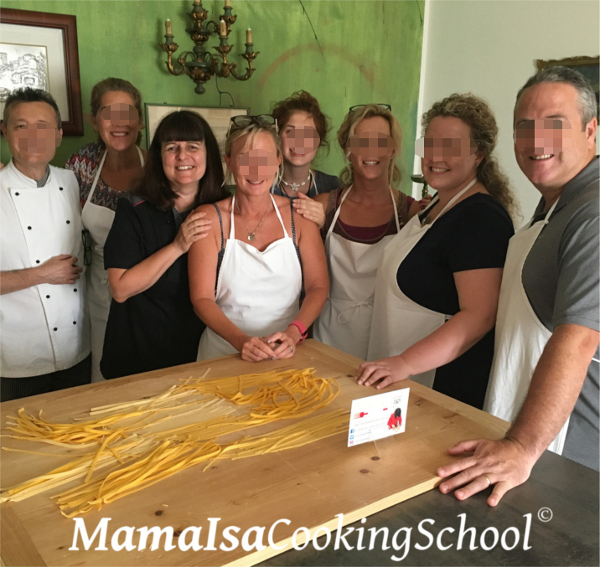 Our 2, and 3-DAY COOKERY COURSES or 4, and 5-DAY COOKING COURSE are run on Friday, Saturday, and Sunday or another dates UPON REQUEST. 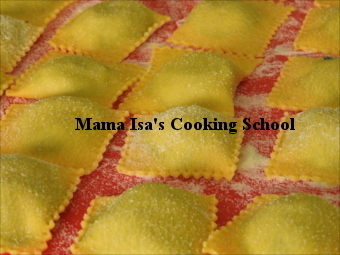 Available January to December - Monday to Sunday. 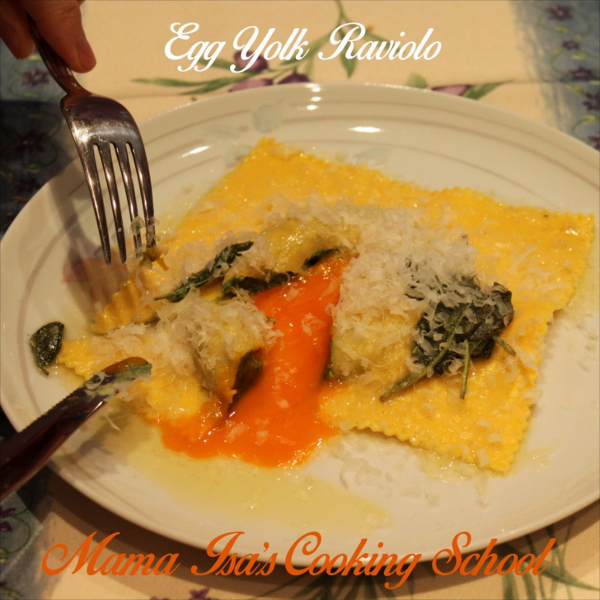 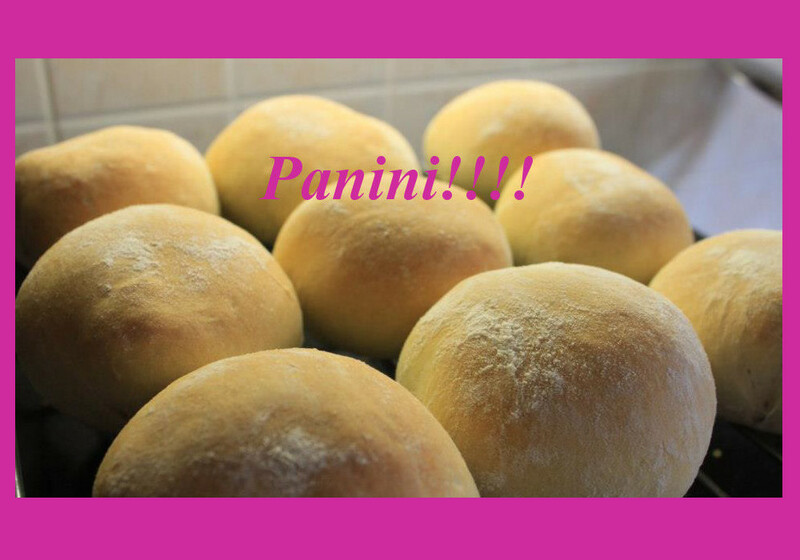 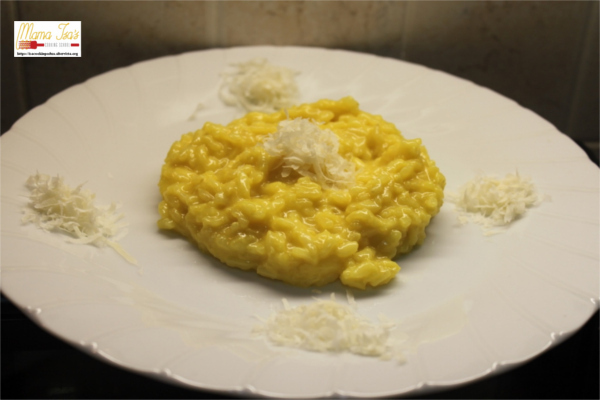 Learn to cook typical Italian Cuisine. 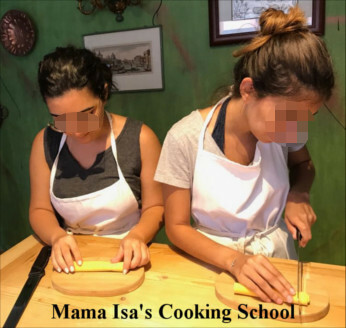 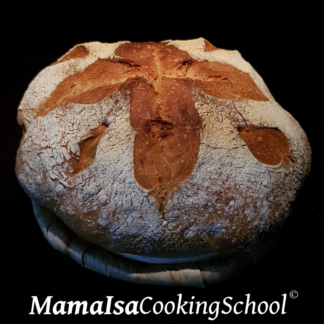 Please remember OUR COOKING LESSONS are held all year round upon request: so please contact by email Mama Isa as soon as possible. 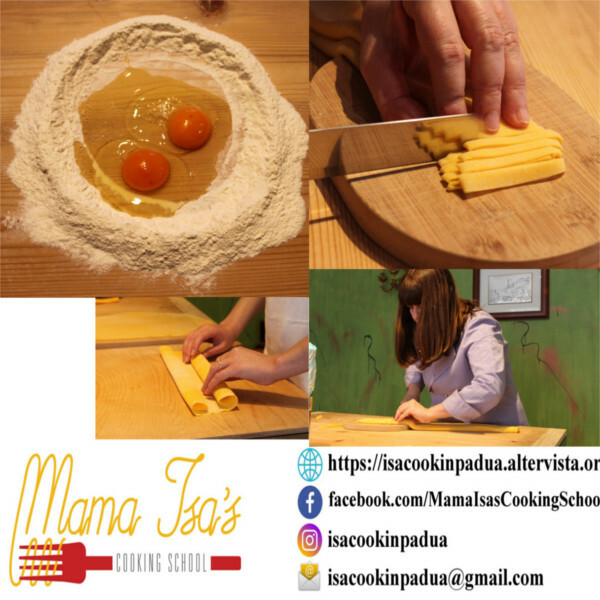 Kids can easily take part to our COOKING CLASSES as we have great experience in making them feel comfortable with cooking! 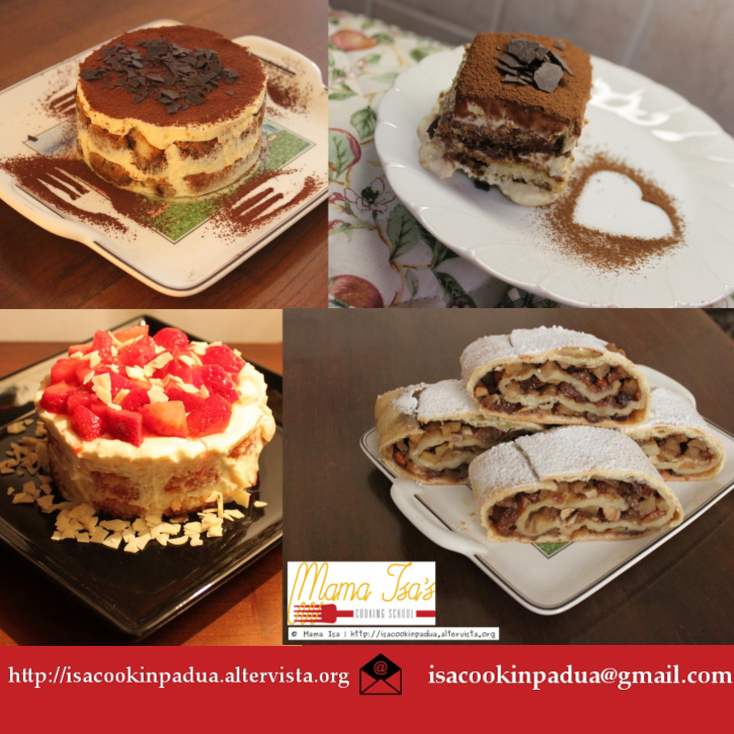 Please email us as soon as possible with your cooking request!